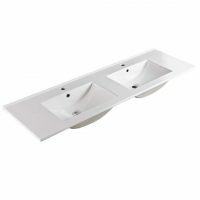 The Rhys Vessel is a modern and affordable top-mounted vessel basin that will perfectly suit any modern bathroom. It comes in a classic rounded shape and is made out of top quality ceramic. This vessel basin will help you design the lavish contemporary bathroom space of your dreams. The Rhys Vessel measures 410x410x145mm in dimensions. It includes a single tap hole, and the waste is sold separately. It is designed for easy installation in any space. Enjoy the perfect blend of good looks and practicality with the Rhys Vessel basin. Due to its thoughtful design, it is very easy to clean and maintain. Moreover, the styling of this basin will perfectly complement modern design schemes. 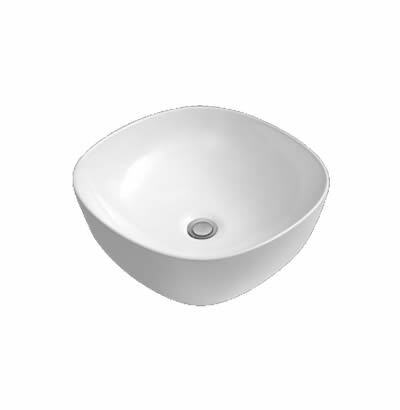 Rest assured that this vessel basin is a superior quality product that is built to last. It exhibits fine artistry and top-grade manufacturing, and excellent value for your money. You can’t go wrong in choosing the Rhys Vessel. 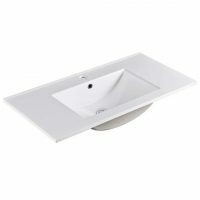 For a modern looking and affordable top mounted vessel basin in Perth, nothing beats the Rhys Vessel from Ross’s Discount Home Centre. 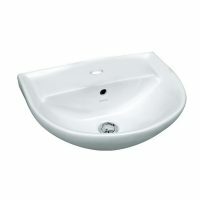 Buy this modern basin for your bathroom at the lowest possible price from our online store today!